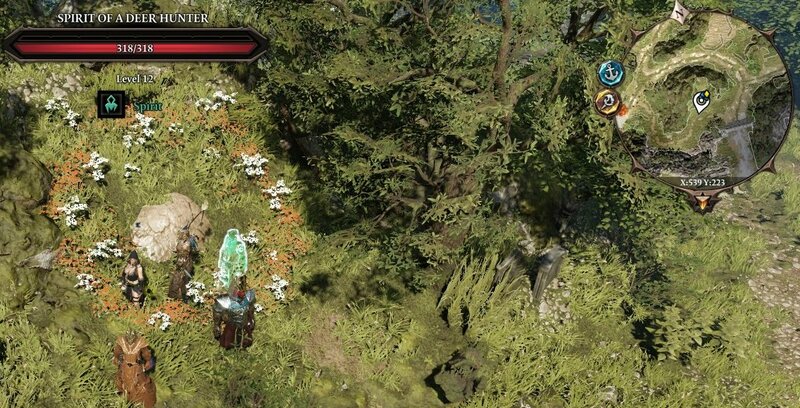 Spirit of a Deer Hunter is a NPC in Divinity: Original Sin 2. Halo of flowers is found at X:540 Y:227 just outside the entrance to Stonegarden graveyard. Use the shovel in the centre of the flowers for some loot off the corpses of the deer and the hunter. it&apos;s the spirit of a deer HUNTER. WHERE IS THE HALO OF WILDFLOWERS?